Sam, a founding partner and current Director, is responsible for Compass Associates group financial performance, growth strategy and business generation. He also oversees Compass Executives, a search and selection firm operating out of London. Sam specialises in board level appointments that add long term value to organisations and regularly acts in an advisory capacity to our closest clients in relation to succession planning, industry trends and salary benchmarking. Sam holds a Law and Politics degree BA (Hons), LLB from the University of Kent as well as additional qualifications in the practice of recruitment and is also a Fellow of the Institute of Recruitment Professionals. In his spare time Sam enjoys all sports, travelling and has an active interest in current political and economic events. Mike is a founding partner and current Director of Compass Associates, he heads up the Care Home Division and assumes responsibility for all things IT related. Mike is also responsible for the operational direction of the business. CertRP qualified under the Recruitment and Employment Confederation (REC) and a Fellow of the Institute of Recruitment Professionals, Mike has many years experience working within the Recruitment industry and an in-depth knowledge of the Health Care sector. During his spare time, his interests include rugby (Mike represented England schoolboys at regional level), golf, travel and cooking. Chris is a founding partner and current Director of Compass Associates. Chris has established two of the four Divisions within the company and currently heads up the General Healthcare Division. He is also responsible for staff training and development. Chris holds a degree within Criminology BA (Hons) and is qualified and accredited under the Recruitment and Employment Confederation (REC) and a Fellow of the Institute of Recruitment Professionals. He has over 10 years of experience specifically within Health Care recruitment and has an expert knowledge of the industry. Chris is also an avid rugby fan and has a particular interest in travel and current affairs. Kathryn is Director of HR & Communications and is responsible for HR, Business Support and internal and external communications across the Compass Holding Group’s businesses. A senior marketing professional with 16 years experience at IBM, one of the largest technology and consulting organisations in the world, Kathryn held positions varying from communications and project management through to lead generation and channel marketing, both at EMEA level and in the UK, before joining Compass Associates in 2013. 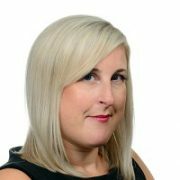 Kathryn is a Member of the CIM (Chartered Institute of Marketing), an Associate member of the CIPD (Chartered Institute of Personnel and Development) and a certified member of the IRP (Institute of Recruitment Professionals). She also a First Class BSc (Hons) Psychology degree with the Open University. Kathryn enjoys cycling, eating out, sunshine holidays and is passionate about music. Dave is Director of Specialist Services & Group Information, providing senior leadership to the Specialist Services division and responsibility for the Compass Holding Group’s financial analytics. 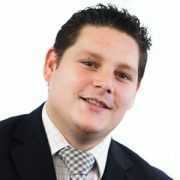 Dave has been with Compass Associates since 2011 and has spent over 9 years in the recruitment industry, previously working in the Procurement & Supply Chain Market after completing a BA (Hons) degree in Human Resource Management. Dave is a keen Leeds United supporter and enjoys holidaying in Italy. 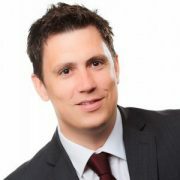 Luke is Group Development Director for Compass Holding Group. 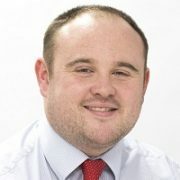 Luke has over 5 years experience recruiting senior and executive appointments for the health and social care sector. Luke is responsible for establishing new divisions within Compass Holding Group & client development across all existing divisions. Previously, Luke joined Compass Executives as a Senior Associate to facilitate a period of growth and the extra demand of services from our clients, focussing on Chair, CXO and Senior Managers across the independent sector (Private / NFP’s / VC’s and PE Houses). Starting his career at Compass Associates, Luke led the Mental Health Hospitals arm of the business, providing Operations, Quality and Hospital Directors to large corporates, equity backed orgs and 3rd sectors. 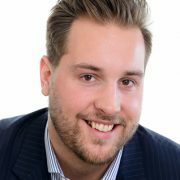 Luke then spent 2 years working for an international technology search firm with a remit to establish and grow a practice within management consulting. Partnering blue chips such as Deloitte, PwC, IBM and McKinsey Luke delivered search solutions to expand their reach across the Europe and Middle Eastern markets. 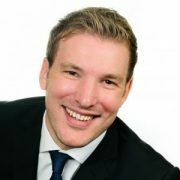 Luke specialised in the placement of Director and Partner level hires on refined search criteria from across the globe. Luke graduated from the University of Portsmouth with a BSc (Hons) in Quantity Surveying.